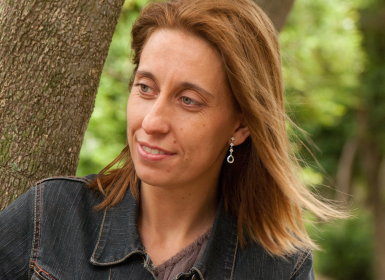 A journalist and screenwriter, Rosa Aneiros is best known as a writer of adult and young adult fiction. She won prizes for her novels Resistance (2002), about two lovers involved in the resistance to the twentieth-century dictatorship in Portugal, The Sea Came to See Me (2004), about a biologist confronting the Prestige oil spill, and Winter Sun (2009), about a woman who escapes the Spanish Civil War and has to face the voices and wounds of exile. As a children’s writer, she caught attention with her novel Butterfly Wings (2009), with its cast of international characters, and most recently with the trilogy I Love You Leo A. (2013-4), about a woman who sets out to imitate Marco Polo. Rosa Aneiros works for the Council of Galician Culture in Santiago. Not the second or the third, mother went on, but the first flight home. She still hadn’t made it through the security archway and her mother was insisting on the need to return.